Carsyn C, Ewan G, Jess R, Sophie P, Harry McG, Katy R, Tom S, Zara J, Mina A. We have new designated year group leaders and have a Key Stage 1 board to maintain now. We will also be hosting bi-weekly Maths Assemblies for all children in the school. At present, we are planning how to increase our Twitter followers and enter the Peter Jones Tycoons in School Competition to run a business for the academic year. 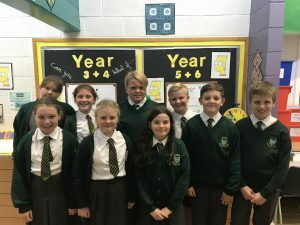 Before we really start the Maths work, we just want to say a big thank you to the 5 previou s ambassadors who really helped the school and chose us to carry on their good work. We hope to make you proud. Follow us @MathsatMalvern where we will be uploading puzzles, challenges and information about Maths at Malvern. Every Friday we will be picking a Mathematician of the Week. They will be picked from the answer box if they successfully answer the challenge question of the week. As part of the Maths Ambassador’s role, we will be helping the school in succeeding with the LCQM mark. The Liverpool Counts Quality Mark was set up by the Liverpool Learning Partnership in response to the identification of Maths as an issue in school settings across the city. 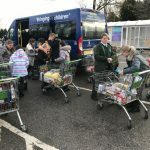 The aim of the programme and Malvern’s Maths Ambassadors is to raise the standards in Maths by changing attitudes and perceptions towards Maths as well as promoting the importance of Maths an essential life skill. Raise standards with enjoyment of Maths being at the heart of all activities. 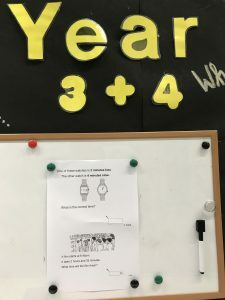 Make Maths relevant by making connections to real life concepts. Create and sustainable legacy of a love of numbers and problem solving skills. Be aware of what you say about maths, especially around children. Challenge ANYONE that you hear making negative comments about maths. Any time you hear celebrities in the media saying that they ‘can’t do maths’, or making negative comments about maths, discuss it with pupils. 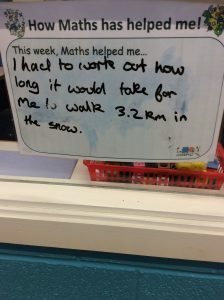 Share your own enjoyment of maths and highlight when you have used it in everyday life. Dispel the myth that there is a maths gene and that only a few people can be good at maths. Encourage parents to be positive- share ‘top tips’ with them including praising effort with maths not just achievement! 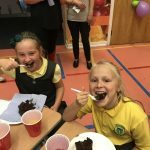 We say goodbye to 2017 / 2018 and look back at the great success the ambassadors brought to the school. I give my personal thanks to the 5 children and wish them every success in their secondary schools. However, 2018 / 2019 is now here and there are some exciting plans to build on the amazing work done last year. The National Numeracy Challenge is a great way to test your knowledge of Maths. A whole host of puzzles ranging in level of ability from starter to Einstein! All topics in Maths covered. Great If you have 5 minutes! Powerlines is a logic puzzle that requires perseverance but does come with a hint of frustration. There are 3 levels to challenge yourself. Use directions ad instructions in this multi-level BBC skillwise game. The decanting puzzle. Move the containers to match the appropriate measurement. Can you do it in the smallest number of moves? 6 levels of fun – Enjoy! Printable number puzzles for children and adults. Work together. All great fun!!!! 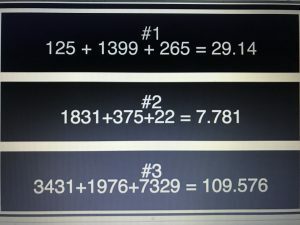 Try this incredibly addictive number game using logic and negative numbers. 48 levels of challenge! This will drive you to logic! 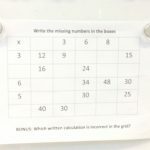 1-a-day Maths Challenges from the White Rose Maths Collection. Every year group has a selection of questions that test the children’s reasoning and problem solving. Any child can try any year group up to Year 8 if you fancy a real challenge. The Ambassadors have been hard at work with their Tycoon in School Competition and are currently 1st in their Tycoon Group amassing a net profit of £229. 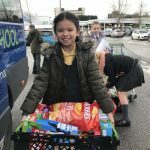 Every Friday they sell snack to KS1 and KS2 children taking into account costs and profit and it has been a real success. However, during our weekly meeting on the 10.12.18, I asked them if they wanted to do something a little different in the last week e.g. Sell minced pies and Christmas snacks. 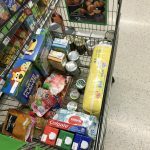 But, during the discussions the Ambassadors decided to use all their profit so far and buy food and other goods for the local food bank which I left me speechless and incredibly proud of them. 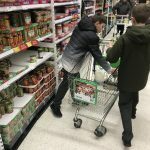 In the pictures below, the Ambassadors can be seen shopping for the goods in Asda, packing it all up and then taking it to the food bank. The volunteers were left speechless and could not thank the children enough for their generosity. 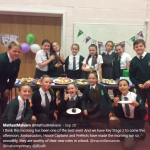 What a day we had on Friday 28th September with the MacMillan Coffee Day that the Maths Ambassadors help run throughout the day. After the amazing social event, we counted up the money and as a school we raised a staggering £1,218.40. As Maths Ambassadors, we can not thank you all enough for your contribution to such a worthy cause. Also this week, we went on a More Able Maths Course with Oxford University Press and learnt how to reason, explain and justify our answers. 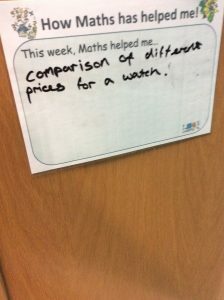 Unfortunately, Mr. Morland forgot to take photos for the website but did manage to put some on twitter @MathsatMalvern . Have a look for Jess and Sophie explain what prime factors are and our toils of making a cube out of 6 train tickets. Peter Jones Tycoon in School plans established!! 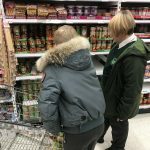 The newly-appointed ambassadors have been set the challenge of setting up and establishing a business in school so their understanding of money and what it is like to order stock and discuss profit margins. They are currently in a locked room debating what to set up and thinking of a business name. Magical Maths is up and running for the next 6 weeks. In the first week the children took part in being a squared number wizard. The children calculated how to work out the square of any number ending in 5. 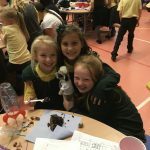 Check out the MagicalMaths website below to see what else the children will be up to in the coming weeks. The challenge has been set! Maths Ambassadors need to get 200 pupils to answer the challenge questions this week. A tall order perhaps? 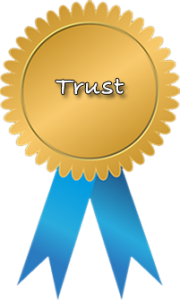 Not for these LCQM Gold winners – we hope! Maths Case Study continues this week. The Maths minions will be looking and developing their knowledge and understanding of fractions. Enterprise Day starting to develop! 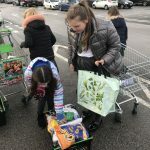 Last week, the Maths Ambassadors went on a mission to find local and national companies that would assist them in showing the children of Malvern how financial Maths works in real-life. Have a look at the letter they hand-delivered to 25 companies. We wait with interest for their replies: fingers crossed!! WE ARE GOLD! GOLD! GOLD! GOLD! GOLD! GOLD! 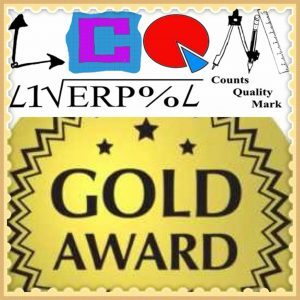 The Maths Ambassadors are delighted to announce that on the 25th April, Malvern Primary School was awarded Gold for the Liverpool Counts Quality Mark. The process started on November 16th when this website was started and after an amazing amount of work by the Ambassadors, their work has paid off! 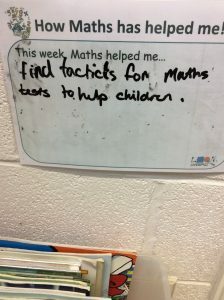 Anyway, developing a love of Maths is still our number 1 priority and we have been doing loads again! Have a look at the pictures below to see what’s been going on! This includes the Parents’ Workshop that ran over by 20minutes before anyone noticed! Set a new timetable to work in Key Stage 1 every week. 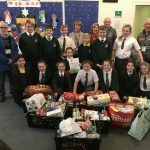 Have a look through the pictures below to see what has been going on. 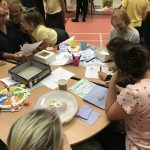 The first Parent session was based on the curriculum expectations, vocabulary and progression through Year 4 to Year 6 – it was brilliant. 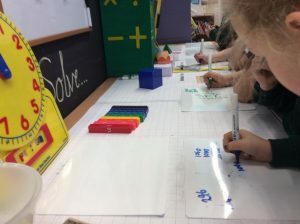 The Maths Ambassadors stayed after school to assist Pupils and parents using manipulatives and looking at a variety of problems based on the Mastery Approach being embedded in the school. Everyone is looking forward to next week. Maths is great!! What a day! 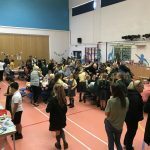 Grandparents’ Games Day was a huge success and a brilliant example of how Maths is everywhere and the brilliant community we have here at Malvern. 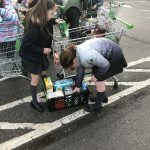 From Great-Granddads skipping to Nans giving out free Easter eggs – it was amazing! A quieter week for Maths this week. Ambassadors are preparing for Grandparents’ Games Day on Monday 26th March. World Maths Day. This week started with a bang for Maths. 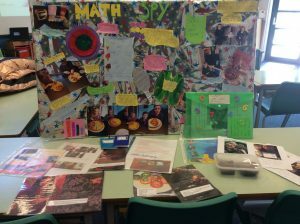 Just check out some of the amazing Maths that was going on around school linked to the various topics being taught. A whole plethora of activities to engage and remind the pupils of Maths in all subjects was used and witnessed by the Maths Ambassadors. We had Number hunts, pizza making, science experiments, Roman numerals, Coordinate map making and Titanic Numbers just to name a few. 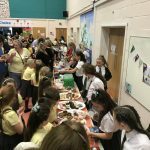 A brilliant effort by all the children and staff. Heidi and Harry (sibling entry) – 1st place. An amazing competition and the Maths Ambassadors loved the way Maths was promoted in a variety of different ways. We had chess moves, 2D floor plans, cakes made with ingredients, Maths diaries for the entire week, tidy up videos. You name it we had it. Thank you to everyone for all their entries and we hope to run another one in July. 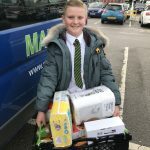 Maths Homework Competition has seen over 100 entries – which is just fantastic. There were so many different types of Maths and it was just incredible. 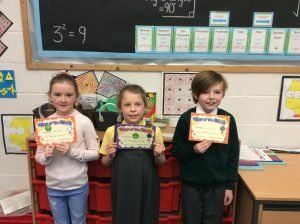 Both Reception Classes made a brilliant effort and the Maths Ambassadors have decided to award special prizes to the 5 best from Reception: see them below. Winner’s names: Charlotte Girvan, Cai Sinnett, Nathan Soundie, Amiee Smith and Jacob Garth. Simply amazing work guys! 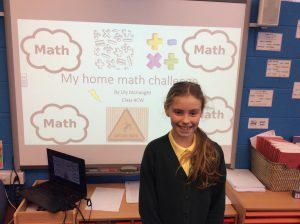 Check out these amazing entries in to the Maths Homework Competition… Maths Ambassadors will have a difficult time choosing 3 eventual winners! Maths Buddy System continues between the Ambassadors and the Maths Minions. This week we looked at reasoning and explanations around division word problems. 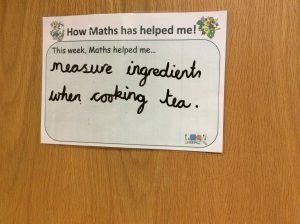 Teachers told to tell us how they use Maths in every day life! 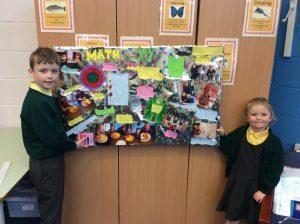 The Maths Ambassadors have decided that the teachers should be telling the pupils and other adults how they have used Maths outside of school to help them with life. Each teacher now has a sign on their doors and the ambassadors will be checking they are filled in every week. 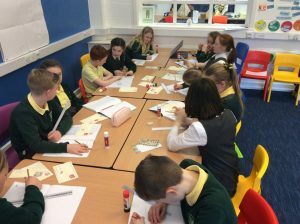 To incorporate Maths into everyday life, the Maths Ambassadors are helping Mr. Kynaston count all the money raised from World Book Day and the Sponsored Reading Event that is taking place over the next 2 weeks. 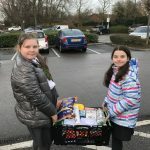 The Ambassadors will be in charge of collecting all the donations and sponsors and will be sending the money to Book Aid International who help in sending books all over the world so they have the same opportunity that we have. Mathematicians of the Week for school were the following: Lydia, Nieve, Isaac and Molly. 84 entries this week. new problems and puzzles to be up on Monday. On the 2nd March, the Ambassadors and Mr. Morland will be introducing a whole-school ‘Maths is Everywhere!’ homework challenge. See the flier below… Entries need to be emailed to Mr. Morland or handed to an Ambassador. The Ambassadors will select the best three. 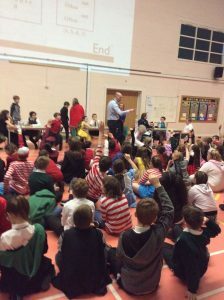 The 2nd Mathletics Competition is set for Thursday 1st March: the same date as World Book Day. The Ambassadors have changed the format of the first one to incorporate more IT quizzes and more crowd interaction. There will also be a special ‘World Book Day Maths’ round for everyone to get involved with. Watch this space for pictures. Malvern win Mathletics Competition by 5 points. It took 13 rounds of Maths questions but Malvern sneak the competition in the final round. A fantastic competition with St. Brigid’s, Huyton with Roby and Roby Park taking part as well. 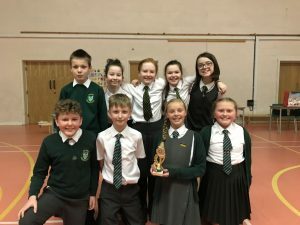 Special mention to Lydia, Frankie and Hannah for winning and extra-special thank you to Leila and Jacob for running the competition with the help of some expert children – Josh, Thomas, Grace and Imogen. Malvern scoring 95 and Huyton with Roby scoring 90. 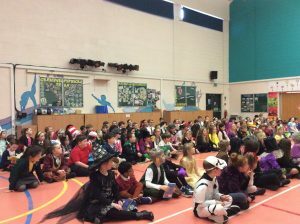 What made the day extra special was that everyone was dressed as book characters. Second Chess Match vs St. Margaret Mary’s. Due to the undoubted success of the first match, we will now host St. Margaret Mary’s in the 2nd match. The Maths Buddy system is organised and well underway. The Ambassadors have been working on division word problems and problem solving with the Maths Minions. Discuss the questions with your child / children and be honest. Your feedback is very important to us. Maths Ambassadors given a challenge! This week, the Ambassadors were set a challenge to try and get over 40 children to complete the challenge board in an hour. They amazingly managed 42 and were desperate to hit 50. They’ve automatically set themselves a target for next week. 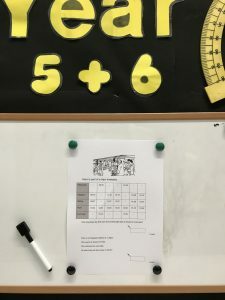 ALERT, ALERT, ALERT – The first Parents’ Maths Class about the Expectations and Vocabulary of the Maths curriculum is now full. We had a fantastic response and will be putting on a 2nd group in June – starting the 7th. 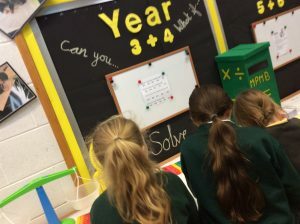 Straight back to it for all things MathsatMalvern … The Ambassadors have started a Maths Buddy System with children from Year 5 as well as continuing with their challenge display board to get children solving Maths problems. All systems go. Due to the popularity of the last Maths Competition, the ambassadors will be hosting a 2nd competition against 3 different schools. The competition is set for 1st March. There have been slight modifications to the format as requested by the ambassadors. The competing schools will be: Malvern, Huyton with Roby, St. Brigid’s and Roby Park. WE REMEMBERED TO TAKE PICTURES THIS TIME! 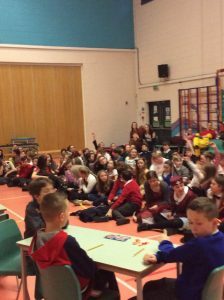 Mr. Morland and the ambassadors ran an interactive multiplication quiz using Kahoot in assembly on Wednesday 21st. Each House Captain selected a child from each year to take part with the questions increasing in difficulty to match the Maths curriculum. 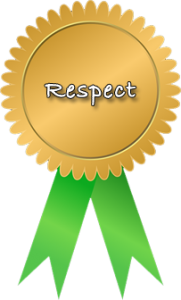 This time around, Respect were the winners scoring 16/20, Courage were 2nd scoring 14. 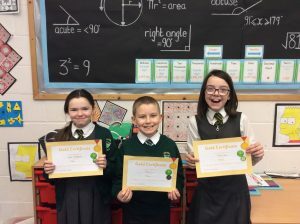 2nd Maths Newsletter is below – the Maths Ambassadors have completed a flash survey to find out what children think of Maths. Results are published below and in the newsletter. 50 children were asked 5 questions, in each Key Stage, with an interval score from 1 to 10. All scores were then added to give a total out of 500. We then converted that into an approval percentage which can be seen below. Do you enjoy Maths? 85.4% approval rating. Are lessons a challenge? 70.2% approval rating. Do you try and work by yourself? 81% approval rating. Do you learn in every lesson? 85.2% approval rating. Is Maths fun? 87.6% approval rating. Do you enjoy Maths? 83.8% approval rating. Are lessons a challenge? 67.2% approval rating. Do you try and work by yourself? 76.2% approval rating. From this data we will be working with Mr. Morland and the teachers to try and see how we can make Maths more of challenge whilst keeping it as fun as it is now! Who is the most accurate with a protractor? Year 6 were set a challenge to see who could measure and draw the most correct angles in 5 minutes. The final winners were Frankie and Louis from 6SM who managed 22 and 20 retrospectively. What a competition and all the children enjoyed the challenge and all improved. This week it is careers week in school and gave us lots of opportunities to put Maths into real-life practice. For example, did you know that to become a doctor you complete a course lasting 365days x 7 + 2 (dependent on leap years) and will cost – at minimum – £64,750 in University fees. However, consultants can earn beyond £103,000 a year dependent on the specialty. In Year 6 we discovered that 14.2% of the cohort want to be a future lawyer or solicitor. However, the most popular future career was a professional sportsperson where 19.6% (nearly one fifth) had ambitions in this field. and 8 of the 11 had the ambition and courage to be a professional footballer. On Thursday, the Year 6 will be entering Dragon’s Den to show and present their findings and the winning, most detailed group will receive a prize on Friday. A fantastic Maths week this week. 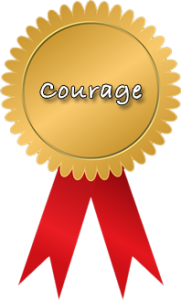 In our Maths Assembly, we challenged each School House (Trust, Ambition, Courage and Respect) to a multiplication quiz. Each Yr group had a representative taking part. 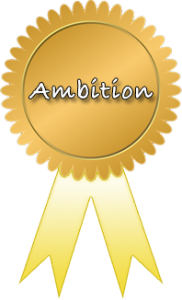 After a fierce, yet friendly contest, Ambition won scoring 10, Respect scoring 8 to come in 2nd. 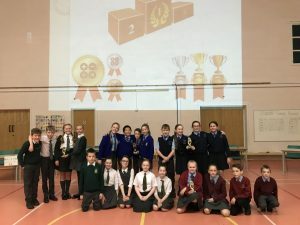 Maths Ambassadors hosted the competition to promote times tables in the school. Assembly was that exciting that everyone wants to do it again in 2 weeks time. In our excitement, we forget to take any photographs. 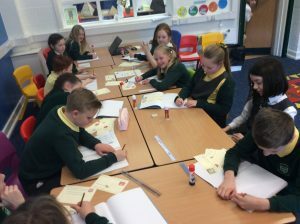 This week, Mrs Hayes class (Year 6) took part in a Big Maths lesson. The children used their measuring skills to calculate the area and perimeter of compound shapes that had been made on their tables. 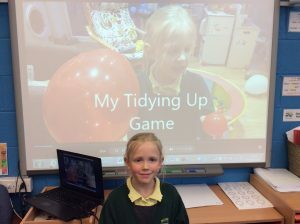 Have a look at the pictures below to see what exactly the children got up to that lesson. 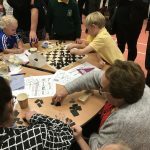 Working with other schools in our local area, we took a team of 10 chess players to play to Margaret Mary’s for a friendly match on the 30th January. Have a look at the pictures below. 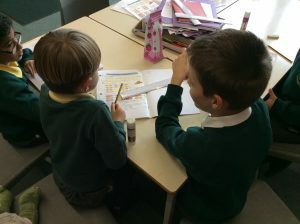 Mathematicians already flocking to the boards to answer the new questions – all based on money, following on from measures last week. Aiva, Luke, Amy and Liam. Go to @MathsatMalvern to view all our recent pictures. First ever Maths is Everywhere newsletter. 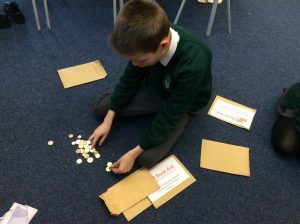 The Maths Ambassadors had fun interviewing Mrs. Hayes and finding puzzles and challenges for everyone. Expect the next edition in 2 weeks. Click on the date below to read the first newsletter. Congratulations to St. Aidan’s who won the Mathletics competition pipping Malvern and St. Albert’s by 4 points. 121 to 117. It was a fantastic event and the Mathematicians were exceptional throughout. Well done Imogen, Grace, Thomas and Josh. Special mention to the Maths Ambassadors who were brilliant in running the event! 5678 x 97 will be asked to the Mathletes. 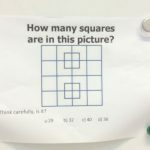 Problem Solving questions that require greater thinking and logical steps – there is a 2 minute time limit to the questions. There will also be crowd rounds and a Kahoot round based on Computing. All to promote the importance and value of Maths in schools. Trophies will be awarded to each team. Pictures to follow. New problems are up and being solved on the display. This week, they are based on time and measure. If you have 5 minutes, have a go yourself. 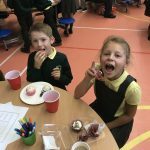 Maths Newsletter announced! The Maths Ambassadors will be putting together a Bi-weekly newsletter for the school full of problems, interviews and information about @MathsatMalvern . The first ever edition will be released on the 2nd February. Mathematicians of the Week. Holly and Bae (Yr5), Luca (Yr4) and Jessica (Yr3). 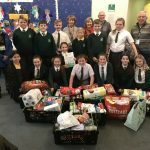 Well done those for children. They earned their respective houses 50 points each. Pupils continue to love the Maths Challenge Boards, solving the problems every week. 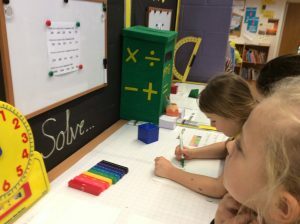 The number of children solving the problems has grown every week. Maths Ambassadors doing a great job. Ambassadors were also in Yr4 this week. Maths Ambassadors argue with paper! 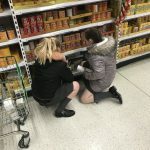 The ambassadors went hunting for an appropriate problem for Y6 and found this. In each of these problems, you have to solve each calculation by inserting decimals to make the right quotient. Mr. Morland hosted the first ‘Maths in Action’ Assembly today with the assistance of the Maths Ambassadors. They looked at shape puzzles and how to calculate perimeter for Landscape Gardeners, interior designers and builders and using the Maths surrounding the problems they face. 4 new winners this weeks. 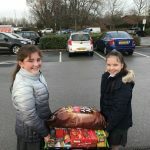 Zara Y6, Lily and Holly Y5 and Dale Y4. Excellent problem solving with the challenges on the board. 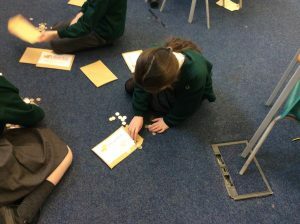 Maths Ambassadors were in Y5 and Y3 assisting children with fractions and multiplying and dividing by 10. The Mathematicians of the Week are: Abigail, Grace and Ava TP from Y6 and Thomas from Year 5. Big congratulations and well done to everyone who entered. Maths Ambassadors were helping in Y3 with multiplication and division: all brilliant and loving their role. Well done to our mathematicians of the week: Aiva Mc (Y6), Ava F (Y5), Louie M (Y3) and Jess T (Y3). Jess correctly answered the Y5/6 questions as well! New challenges are on the board and children are chomping at the bit to answer them. Second week of the Maths Challenges and the ambassadors selected two problems. One for Y3/4 and one for Y5/6. Have a look and see what you think.